SALEM — Carpenters; heavy duty and tractor trailer truck operators; construction workers and mechanics are among the top 20 most in demand and highest paid jobs according to Maine Department of Labor. The difference between these occupations and accountants, doctors and nurses is the training needed to learn the skill. Skilled trades, such as welding or masonry typically do not require a traditional college degree. 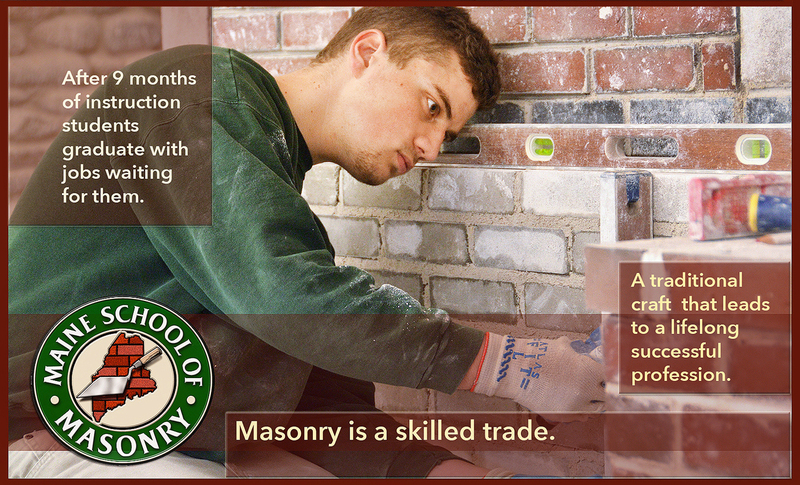 The trades are learned through certificate programs and apprenticeships. More importantly, they are learned through hands-on training. The College Access Team at Mt. Abram High School recently held the first-ever Trades Fair. CAT is composed of parents, administrators and teachers who have been tasked with looking for gaps in student success. “We look for where the struggles are and we plug them,” team member Steve Mitman noted. The fair was held April 11 with at least 100 attendees. The event was open to students who were considering picking up a trade but it was geared toward the entire community. Mitman believed at least 20 of the attendees were from UPM, Madison’s paper mill which is expected to shut down in May. CAT brought in close to 30 presenters to talk to students and the community about how a skilled trade could benefit them in the future; presenters such as Maine School of Masonry, Cianbro and M Wahl Excavation. “Presenters stated how impressed they were with how engaged our students and community were,” Mitman noted. Students found the fair helpful and informative. “It was nice and organized,” stated Brandon Hemingway of Kingfield. The freshman is looking forward to the possibility of Mt. Abram being a satellite location for Foster Tech next year. If voters approve it in the budget in June, it will mean Hemingway can begin exploring the trades as a sophomore, a full year earlier than is currently allowed. Hemingway knows he wants to be a line worker like his father, so he interacted with Foster Tech, KVCC and Cianbro. “I am excited to be able to start at Foster Tech,” Hemingway remarked. Mt. Abram senior Dakota Bailey also spoke with the KVCC representative. Bailey plans on studying sustainable agriculture. He already has a head start on his future. He stated he has a collection of pigs, ducks and chickens at his home in Strong. Bailey noted he took the time to explore other possibilities while he was at the fair. “I talked with some guy from Home Depot. He was cool. But I am not going to work for Home Depot any time soon. I want to be the guy you buy your food from,” Bailey explained. Mitman noted CAT would host more events in the future but nothing was scheduled yet. CAT is funded by GEAR UP and MELMAC grants.